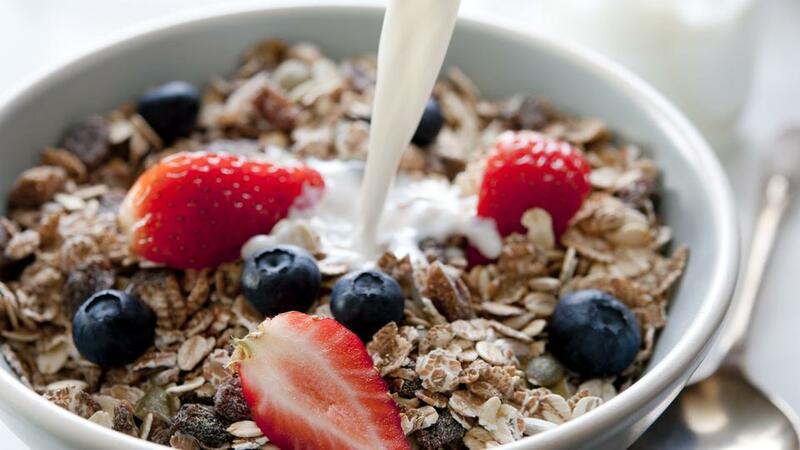 Home / News / Can Muesli help against arthritis? It is well known that healthy eating increases our general sense of wellbeing. Researchers at Friedrich-Alexander-Universität Erlangen-Nürnberg (FAU) have now discovered that a fibre-rich diet can have a positive influence on chronic inflammatory joint diseases, leading to stronger bones. The key to the effect our diet has on our health are intestinal bacteria: healthy intestinal flora consists of a multitude of different species of bacteria. Every adult carries approximately two kilogrammes of benign bacteria in their intestines. They help our digestion by breaking fibre down into its individual components, which can then be absorbed by the body. A by-product of this process are short-chained fatty acids which are important for the body, providing energy, stimulating intestinal movement and having an anti-inflammatory effect. The intestinal bacteria also fight against pathogens which have found their way into the gastrointestinal tract. It is known that intestinal flora can either protect against illness or cause illness, depending on its composition. If the various bacteria coexist harmoniously, they can protect the intestinal wall and prevent it from letting pathogens pass through. In the latest article published in Nature Communications, FAU researchers show that it is not the intestinal bacteria themselves, but rather their metabolites which affect the immune system and therefore have a knock-on effect on autoimmune diseases such as rheumatoid arthritis. How intestinal bacteria and the immune system communicate is still unclear, and scientists are still unsure about what may be done to have a positive effect on the bacteria. The researchers focussed on the short-chain fatty acids propionate and butyrate, which are formed during the fermentation processes caused by intestinal bacteria. These fatty acids can be found, for example, in the joint fluid and it is assumed that they have an important effect on the functionality of joints. The FAU scientists under the leadership of Dr. Mario Zaiss from Department of Medicine 3 — Rheumatology and Immunology at Universitätsklinikum Erlangen were able to show that a healthy diet rich in fibre is capable of changing intestinal bacteria in such a way that more short-chained fatty acids, in particular propionate, are formed. They were able to prove a higher concentration of short-chained fatty acids, for example in bone marrow, where propionate caused a reduction in the number of bone-degrading cells, slowing bone degradation down considerably. Propionate, one of the better known short-chained fatty acids, has been in use as a preservative in the baking industry since the 1950s and has been checked and approved as a food additive according to EU guidelines.